GERD or Eosinophilic esophagitis or other Food-allergy-associated conditions. As to their findings, the recommendation by the authors was to carefully monitor mineral metabolism in children fed elemental formula products. You and your family may be entitled to compensation for medical bills and other damages if your child was prescribed Neocate Formula and was subsequently diagnosed with rickets, dangerously low phosphate levels or unexplained broken bones. 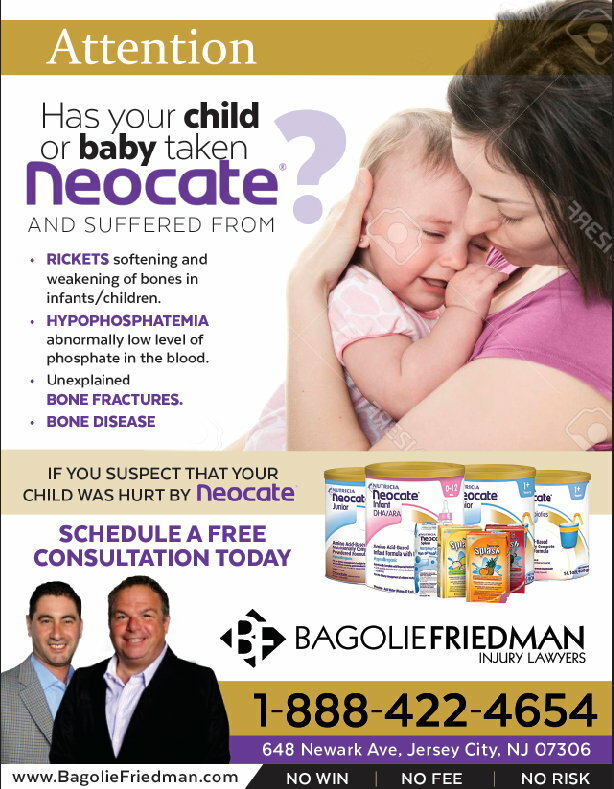 To learn more, visit the BagolieFriedman.com website or call 1-888-422-4654 for a no-cost consultation.